This is a new thing on Saved by Grace called "Book vs Movie". Technically I will compare a book vs. what the movie or TV show adaption did to it. Today we have When Calls the Heart the TV show, and The Canadian West Saga, which I have been a fan of for forever! The book "When Calls the Heart" is from The Canadian West Saga by the amazing Janette Oake. It is a lovely series, one I highly recommend! It is worth your time and some of my favorite books! I read them when I was eleven and I'm a die hard book purist and fan when it comes to this. 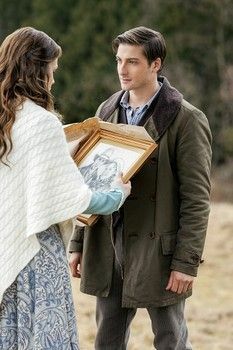 That being said I was very wary of watching the TV show from Hallmark channel when I received it over a year ago (I did a review of it here last winter). Jack never disappoints me once during season 1 and 2! 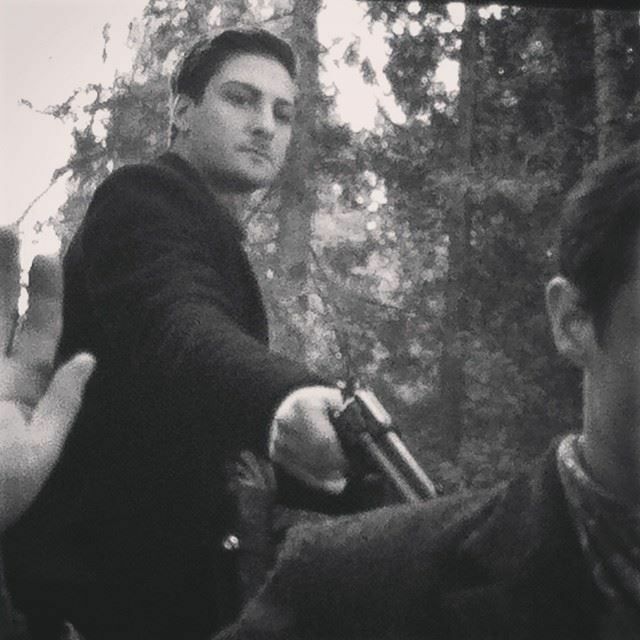 Daniel Lissing's performance is exceptional, and he is definitely my favorite character so far without a doubt! He does very well with Erin Krakaw and together they make a perfect team for the show! With the show I am not disappointed in this character in the least! He can pretty much do anything - take out outlaws for one - while he can also paint, give advice, and be a super amazing friend and mountie. Now in the book When Calls the Heart, Jack (otherwise known as Wynn in the books), is determined NOT to marry because he is a mountie and mountie's don't usually get married because of the hardships of living in the north. He doesn't want to drag Elizabeth into it all. Now, unlike the TV show he is much more resolved in this and it takes the whole first book for him to finally come to that conclusion. In the TV show however, Elizabeth is the one hindering the relationship from progressing, which leads to annoying me and my whole family (more on that next). So to sum it up, Jack is great in both the book and show. 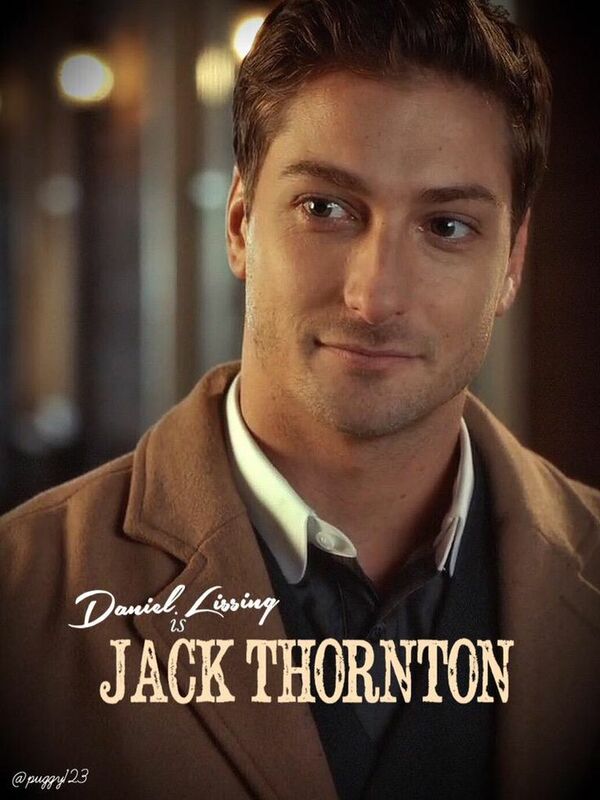 He wins either way and Daniel Lissing is Jack for sure! Elizabeth is a lovable character for me in season 1, bringing across much of what I expected. 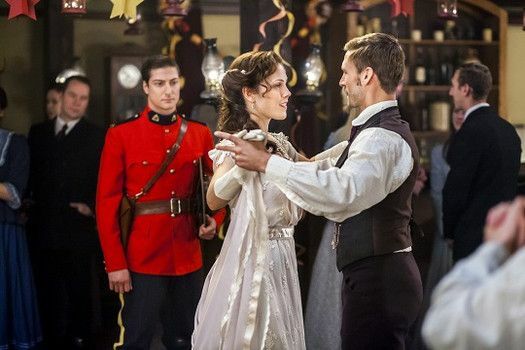 Erin Krakow is perfect with Daniel Lissing and together they make a great team in the show and are absolutely ADORABLE! 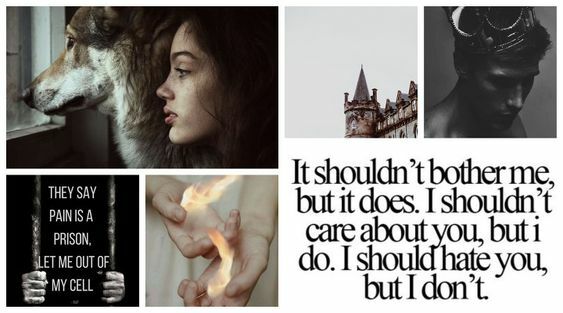 From my perspective, without comparing her to the book, she could have been better in character development. She leads both Charles and Jack on in season 2, giving us a prolonged season of - who will she choose? Obviously we know the answer so it's really a dumb thing to go through. Otherwise, I still did enjoy Elizabeth but she is slowly becoming my least fave character because of her indecisive attitude. I LOVED Elizabeth's character in the whole saga! She was funny, a strong Christian, and slowly learning to adapt to life as a country school teacher. She assumes Wynn (Jack) is married in the first book in the saga but is falling in love with him despite her better judgement, and Wynn wonders why the new school teacher is avoiding him. It really is hilarious and should have been in the show! Elizabeth leads no one on that I remember, and her character progresses even more as her and Wynn marry and go farther into uncivilized wilderness. The plot in the book was fantastic! It went from Elizabeth adapting to the west as a school teacher to then having to go even more out of her comfort zone after marrying Wynn! Her character developed better after getting married it seemed, because she had to learn how to adapt to living in a small cabin, conversing with Indians, etc, and through that time we meet new friends, feel her pain as she longs for a child, go trough natural disasters, etc, etc. The plot was deep, the end fulfilling. The plot of season 1 was excellent (outlaws, romance, inspirational themes - lots of good stuff), while season 2 lacked what the saga had to offer - I don't even see any of the saga's plots in season 2! It was really a crummy season with some good, heart warming moments, but most of it leaving me upset and unsatisfied with a soap opera feel. This isn't to say I don't like the show. The plot still is good, the characters are amazing, the acting amazing - a lot of it amazing! It has a lot of potential to go places and add more of the books (which I'm obviously hoping for). Sadly, the costumes in the show are a little strange and out of place for the time period, the mining town a little too clean and well kept, and some of the characters wearing jewelry where otherwise they'd been too poor. Other then that (which I knew seems like a lot), the attraction between Jack and Elizabeth that happened in season 1 makes me want to press forwards. They are lovable and it holds a lot of good things (just follow the books Michael Landon Jr.!!!). On a side note: Lee and Rosemary were and are an awesome addition! For some reason they go well together and I think they added some much needed lightheartedness in season 2! To sum it up in my Book vs. Movie (or in this case, TV Show) post - both are great but the books in my opinion were better. The characters need to pick up like they were in season 1, and Elizabeth needs to realize what she's doing wrong. As I'm writing this post I have one episode left of season 2 to watch (but I pretty much know everything that is going to happen from spoilers), so far books are better in terms of plot and story line, but the characters blend together in my mind from the show and books because they are just like I imagined as an eleven year old! What did you think of the show and the books? Please feel free to fangirl, comment, and chat, below! Thanks for this comparison! I think I will try and read the books now. Yes, books do tend to be better and I always enjoy them even more so. I think one of the reasons for me is because I can "see" what the characters are thinking and feeling and a more in depth look at times. The books are very good but book one is more a difficult read but still worth it. Just a little warning ahead of time. =) Technically it's because the characters where Elizabeth teach, speak differently and it shows that in the book, making them more difficult to understand. Still, like I said, it's good! I agree!! And where is the snow and real winter!! Oh!!! How interesting! I really enjoyed the tv show, so I sought out the books & I've been reading them wondering why the tv show went so far off the storyline with Jack instead of Wynn, Coal Valley instead of Pine Valley (something like that), dragging out the romance vs. getting engaged at the end of the first book & married by the beginning of the second book! Then, like you said, they were off as a married couple to the northern settlement with Native Americans, where as the show does not even mention those things. So I'm going to have to read the "Return to the Canadian West" series & spot the similarities & differences between the show & the book. I do think that so much of the "Canadian West" series would be an intriguing show to watch! Interesting post! Thanks! Thanks so much for commenting! It would have been - nothing like making a book nerd mad by changing the books and making the TV show different. However, I'm a huge fan of the show so I can't fault it much. Haha. Above all I'm so happy to find a clean tv show & books that have elements of faith & trust in God. I believe it's so needed & so hard to come by!! Ohhh how was it? I'm dying to have a look see at that movie!!!! I finished the Canadian West series clear through When Tomorrow Comes. I just started the Return to the Canadian West series. I’m confused. I know Mary and John had an Elizabeth. I assumed that Beth was their Elizabeth but they did not have a daughter named Julie... that was Elizabeth’s sister. Are they just mixing characters? What am I missing? Should I just not try and connect the two series? Trying to figure this out. If you have any insight please fill me in! Thank you! if you read return to the canadian west, it's more along the lines of the tv show. jack is called jarrick by elizabeth. Wynn is the guy that the older cousin elizabeth married. the elizabeth of the tv show is the daughter of Wynn's elizabeth's uncle. As this is set in Canada where is the SNOW??? It is New Years and Elizabeth is in front of the church in a white dress and a light shawl. I'm into Season three and have yet to see cold winter. This is more like a Texas frontier not the true northern frontier. Haha, I've often wondered the same. However, I know they are shooting into late fall/early winter and the actors in behind the scenes interviews have often talked about freezing in the cold temperatures, so I know that unless they edit out the snow, the elements are for real. 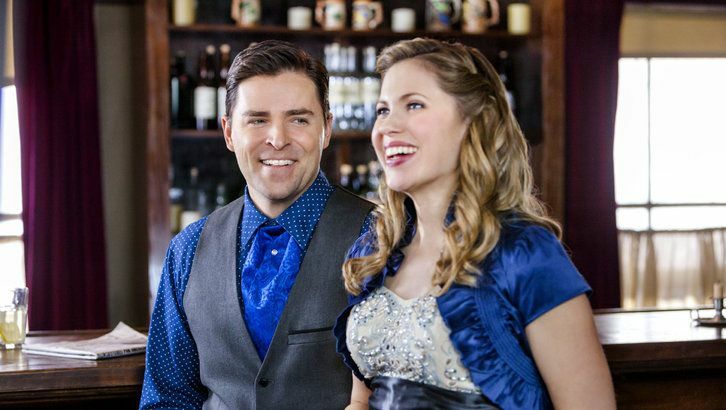 I think Hallmark just enjoys making everything a little too pretty and the actors suffer the effects! I just binged on all four seasons (so far) of the TV show and loved it. I loved it so much, I bought all 6 books in one volume, from Kindle – and was very surprised immediately by all the differences. I think I'm going to have to pretty much treat them as separate entities, with a heroine who happens to have the same name and some similar attributes. I think the first book (as far as I've got to date) is rather clumsily written in some respects, but that is often the case with first books (even the first Harry Potter book) and hopefully the writing will improve as the series goes along (as Rowling's did). Anyway, it is interesting and moving enough for me to persevere. Because I began with the show, and it is being done well, those characters and plots are now THE ones for me, but I expect to enjov the written version too. I had to separate them as well - the books and the TV show - because of the vast difference. I can see why you liked the show best because it usually goes that way doesn't it? If you read the books first you tend to go for those and if you watch the show first, you tend to enjoy that one more. I think I looked into this - because I too was confused with all of the character names changes and differences. I believe that the show (and also movie) was based on events that happened after the original novels, to the new generation of Thatchers - for instance, in the movie, Elizabeth is reading about her aunt who meets Wynn some years ago. However, I can't ever picture Jon or Mary being the sort of parents who would stop their daughter from having adventures - although they did have a child named after Elizabeth in the novels. But Elizabeth had one other brother, right? Perhaps it was Matthew's offspring? - WHICH would allow for name similarities (Julie and Elizabeth - both siblings of Matthew) - the wealth, and Matthew had always been spoiled, right? Just my two cents, but I have enjoyed both equally, and by separating the two like that I can enjoy all of the inconsistencies that are in my head. Elizabeth DID have a brother but not in the show, and I agree - I think I ca enjoy the two separately as long as I see them as both two different versions. I have started reading the book and was hoping it might be different since Jack is no longer with us in the show. What are your feelings about Jack leaving the show and leaving Elizabeth knowing that you've read all of the series and have watched the entire show. I can't even bring myself to say Jack is dead. Which makes him right in the book for not wanting to get married on the first place. I am really upset about the whole thing - I mean it makes no sense why Jack is alive and living in the original 90s book series and dead in the show. I'm really disappointed by the turn of events honestly...it just is so sad the books weren't followed more closely. I never comment on these, but thought I’d chime in since I’ve also had these books on my shelf since about 6th grade. The books are completely different from the series and a new book series was developed from the show and then that also went in a different direction. I've been watching and enjoying the TV series. But I keep seeing things that bother me, things I don't think are historically accurate. Yes, where's the snow and heavy coats? But also, would a woman back then really invite a man into her home whom she was not married to? And Elizabeth so blatantly leading both men on and dragging out any sort of commitment is probably inauthentic. Do the books seem more true to the time period and moral culture? I might find more enjoyment out of the books. But these characters are so engaging! I can't stop watching though I think some of it is stupid. Must be the wholesome nature that grabs me, that I can't find in other shows. I read and listened to audio book years ago as I traveled an when all of a sudden Jack died on the TV series I was disgusted. No one should change a book that much and the characters should be held to contract till it was all complete as in the book. Just me. To sad for nothing. 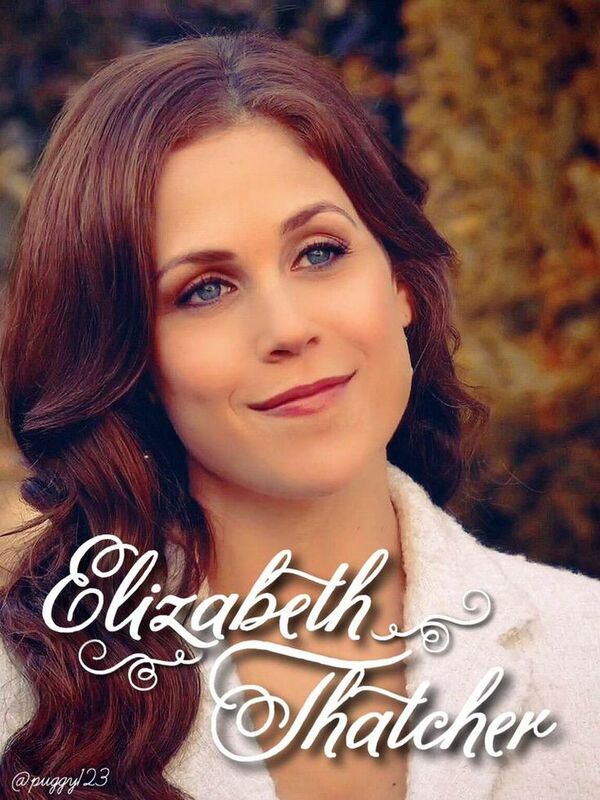 Your review fails to mention the Hallmark Movie that kicked the series off in 2014, it explained that this Elizabeth is the niece of Aunt Elizabeth (who fell in love with Wynn) Since the Elizabeth int he TV series is the niece of the Elizabeth and Wynn.......Wynn Delaney and Jack Thornton can NOT be the same person.